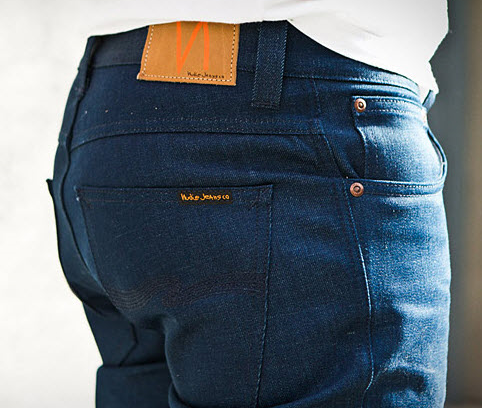 I was checking out The Feed yesterday, and came across this new pair of Nudie denim making use of recycled denim - pretty cool. Apparently the old/used denim is cut and broken down, then blended with new organic cotton, to create a unique pair of 'green' (as in environmentally friendly) denim. Limited to only 500 (numbered) pairs - be on the lookout for these! Note: Insert AYO, Pause, No Homo, Etc at the picture above as necessary.